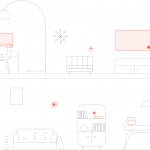 CUJO AI is a smart network intrusion detection/prevention system that keeps your connected home or small office safe. From smartphones to laptops, wireless printers to games consoles, CUJO AI secures all devices against hacks and web threats. Plus, CUJO AI lets you control what your kids and staff access online and keep them safe. I purchased Cujo as a preventative thing rather than anything else. A testimonial would be easy after some kind of worldwide computer pandemic but we’ve not had one. I purchased it just in case and am happy with it as a result.